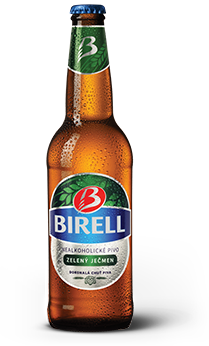 Birell is the bestselling non-alcoholic beer in the Czech Republic. It appeared on the market in 1992. 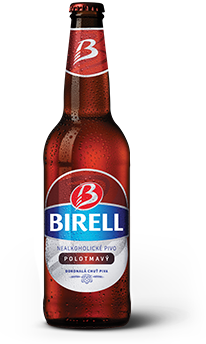 It is made using unique yeasts, which produce the minimum of alcohol and allow Birell beers to go through the same fermentation and secondary fermentation process as classic Czech alcoholic beers. You can enjoy Birell as a classic pale or semi-dark beer, or try the flavoured versions, with Ginger, Pomelo & Grapefruit, Lime & Raspberry and semi-dark lemon-flavoured Birell. Pale Birell has a wonderful full-bodied flavour and pleasant bitterness that give it the heady taste of alcoholic beers. 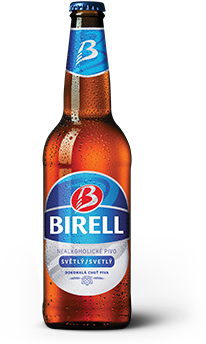 Since it was first brewed Birell has won a number of beer awards, including Best Non-alcoholic Beer of the Year at the 2012 World Beer Awards. In 2015 it came 1st in the PIVEX 2015 Gold Cup in the non-alcoholic beer category in the Czech Republic. Contains no preservatives, artificial colourings or artificial sweeteners. Birell semi-dark combines the hoppy bitterness of pale beers with the fine sweetness of black beers. You’re sure to notice the caramel tones of the roasted malt, and the beer is darker with an amber glow to it. Like the classic pale version it is brewed in the Nošovice brewery using unique technology and special yeasts, which produce the minimum amount of alcohol. Contains no preservatives, artificial colourings or artificial sweeteners. 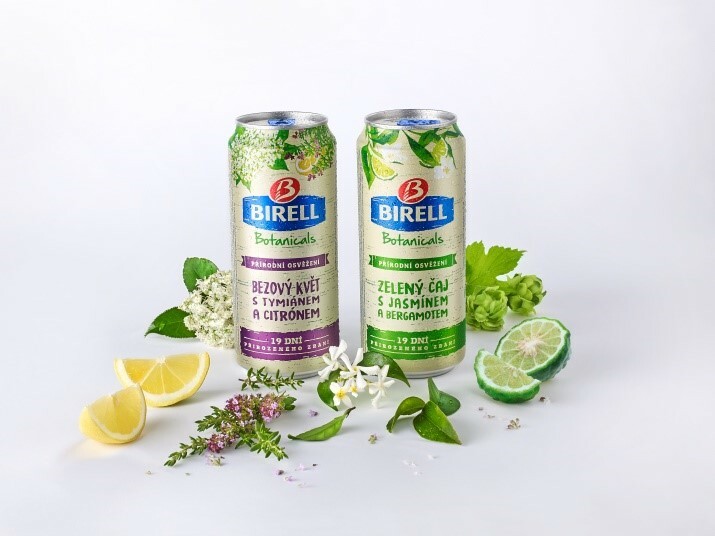 Birell Green Barley is the first-ever and only non-alcoholic beer in the Czech Republic which combines the taste of beer and green barley. The result is a more bitter non-alcoholic beer with a more pronounced beer flavour and aroma of green barley, brewed using completely natural ingredients, without preservatives or artificial colorants. This refreshing non-alcoholic citrus-flavoured beer drink is an unusual combination of sweet pomelo and bitter grapefruit. Contains no preservatives, artificial colourings or artificial sweetener, but is enriched with vitamins B5, B6 and C.
The refreshing interplay of sour lime and fresh raspberries makes for a unique taste experience. Contains no preservatives, artificial colourings or artificial sweetener, but is enriched with vitamins B5, B6 and C.
The refreshing ginger flavour makes for a unique taste experience. Contains no preservatives, artificial colourings or artificial sweetener, but is enriched with vitamins B5, B6 and C.
The flavour of this Birell combines the bitterness of the pale Birell with the caramel tones of dark beers, with the refreshing flavour of natural lemon juice. Like all the other Birells, this contains no preservatives, artificial colourings or artificial sweetener, but is enriched with vitamins B5, B6 and C.
Birell Botanicals will be appreciated by adult consumers who search for non-alcoholic refreshment combining a slightly sweetish mild taste, the fine bitterness of non-alcoholic beer and distinctive aroma imparted by the herbs used. We have developed Birell Botanicals in two flavour variants: Elderflower, Thyme & Lemon and Green tea, Jasmine & Bergamot, which provide very different taste profiles.